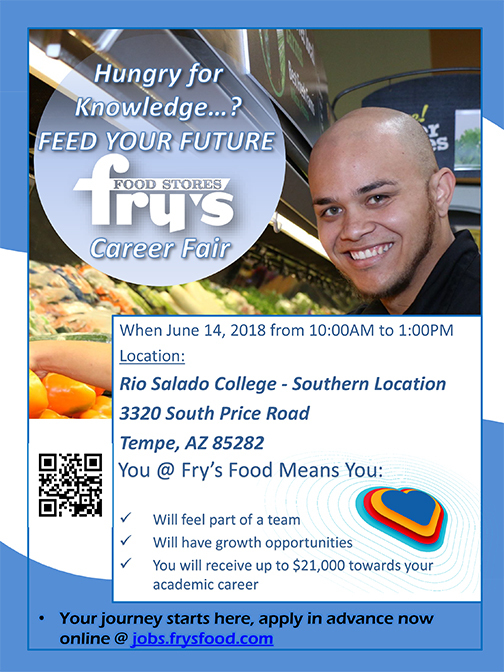 Rio Salado College | RioNews: Fry's Career Fair at Rio Southern Tempe, June 14! Fry's Career Fair at Rio Southern Tempe, June 14! Hungry for knowledge? Feed Your Future! Take part in a Fry's Food Stores career fair, June 14 at Rio Salado Southern in Tempe.